KEDkrafty: Happy St. Andrew's Day! 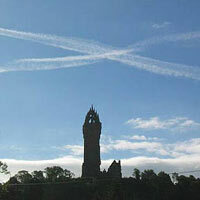 Happy St. Andrew's Day everyone! A special shout goes out to all Scots, Greeks, Russians and people called Andrew. Don't forget to take part in the exciting St. Andrew's Day Quiz. Made my vote ! perhaps we should vote for the Scottish Parliament like this! lol Hope yours was good. I'm gonna make me some patchwork!